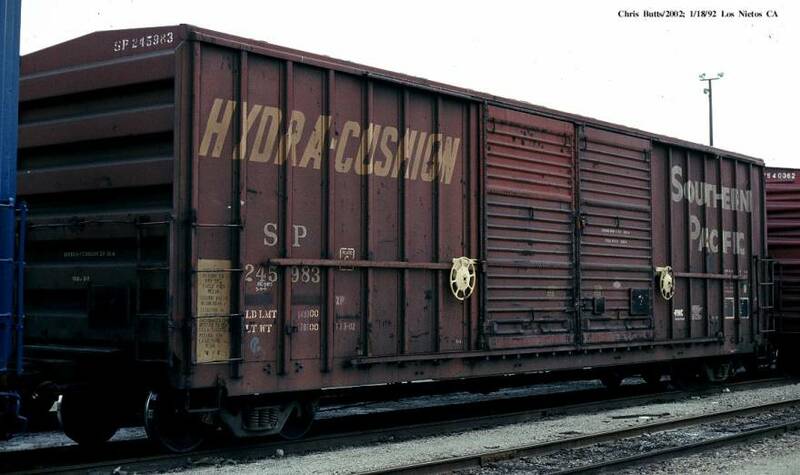 These 50'-7" box cars were built by FMC in 1975 and featured 8'+8' Youngstown sliding doors, non-terminating ends, horizontal ICC 2-panel COTS, ACI plate, Hydra Cushion underframes and 5283 ft3 capacity. 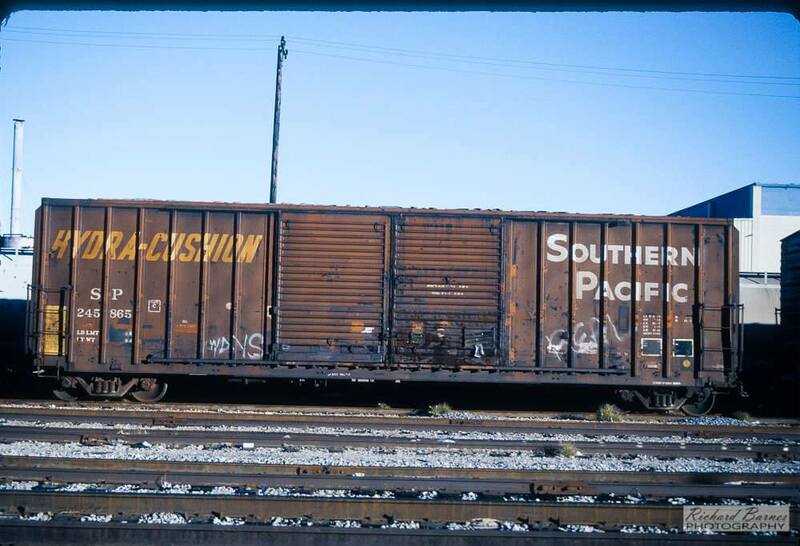 Many cars of this class were repainted and renumbered as Golden West Service cars. At the time of rebuilding the original double doors were changed to either a single 10' sliding door or not altered. Some of the cars with new single doors were subsequently re-numbered into a new SP series (230000's) by UP in lieu of into their original numbers. 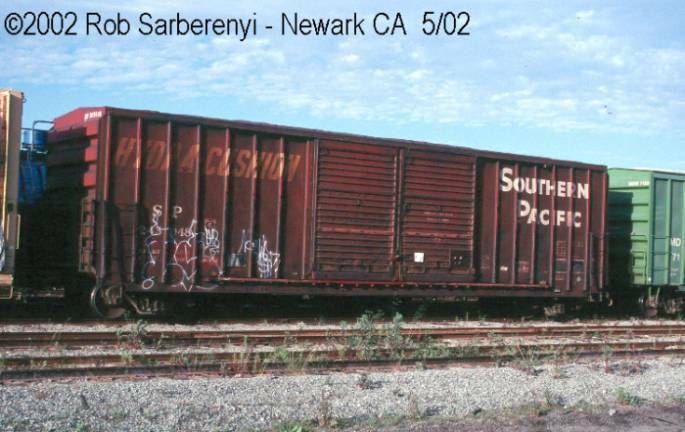 The Intermountain 50' 5258 ft3 box car will model this class nicely.